The attack on the Charlie Hebdo offices and the deaths of cartoonists Jean Cabut (Cabu), Georges Wolinski, Stéphane ‘Charb’ Charbonnier, Bernard Verlhac (Tignous) and eight others has sparked international reaction. 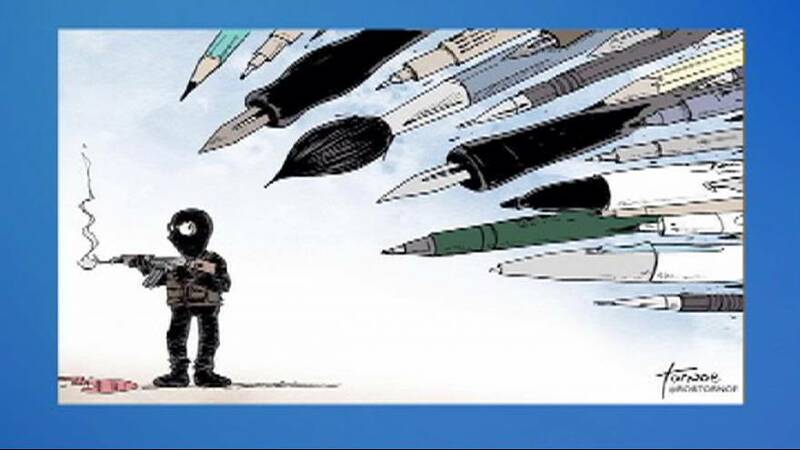 Press or otherwise, people around the world have responded with their most powerful weapon: the pen. Here is a selection of cartoons in tribute to those who died in the Paris shooting. CFP est abasourdi par l’attaque tragique au siège de #CharlieHebdo. Nos pensées vont aux victimes. “Today I am a press cartoonist. Today I am a journalist.